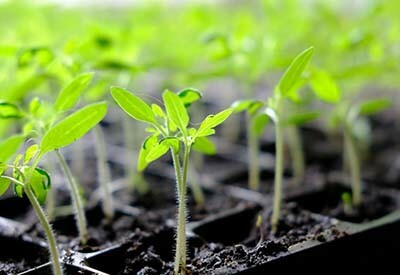 4 Secrets To Starting Vegetable Seeds Indoors - Grow Your Own Plants! 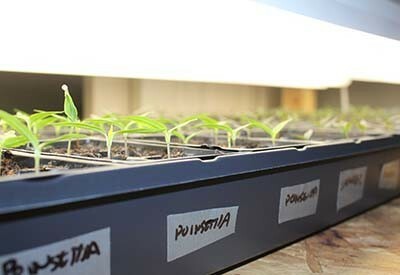 When it comes to starting vegetable seeds indoors, it doesn’t have to take expensive equipment, or a lot of work. In fact, with just a few tricks, you can easily grow strong and productive plants and save big! With a few key tips, growing your veggies from seed is a snap! Starting vegetable seeds indoors is one of the most rewarding things a gardener can do. There is simply something special about seeing a plant grow from a tiny seed, all the way to putting fresh vegetables on your dinner table. Starting your own seeds also opens up near limitless possibilities to grow incredibly unique varieties. Many of the big nurseries and big box stores carry only the most common of vegetable plants. But when you grow your own from seed, the sky is the limit. Your gardening world opens up to thousands of great tasting and special varieties. And beyond all of that, you can save big money growing your own. A packet of heirloom seeds is usually less than the purchase price of a single common vegetable plant in a nursery. So with all of those benefits in mind, it’s a great time to start growing your own plants from seed. And to help, here’s a look at 4 key secrets to growing your own veggie seeds this year. Too many times, people shy away from growing their own vegetable seeds indoors because they think it will take expensive equipment such as special grow lights or heating mats. That couldn’t be farther from the truth! The light spectrum needed to grow vegetables like tomatoes, cucumbers, peppers and more simply doesn’t require special lighting. We have been growing our own seeds indoors from ordinary, inexpensive fluorescent shop lights for years. And with great success. Basic T8 or T25 fluorescent shop lights with cool white bulbs work wonders. By simply keeping the fluorescent light bulbs about an inch and 1/2 above plants as they grow – they grow slow and strong. Great plant starts with great seed. If you are not saving your own seeds from year to year – be sure to purchase fresh seeds from a reputable source. For us, we love heirloom varieties with big flavor and high production. San Marzano Tomatoes, Boston Pickling Cucumbers, Chinese Five Color Peppers, are among our favorites to grow from seed. Their flavor is out of this world, and they are unique plants that usually can’t be found in typical nurseries. For just a few dollars, we can purchase our seeds each year to ensure fresh seeds that germinate well. When starting vegetable seeds indoors, proper watering is essential to their success. To get seeds to germinate, gently water the soil so that it is slightly damp. If the soil is too wet or water-logged, it will rot the seeds and / or drown the frail sprouts. Once seeds germinate, their water needs will continue to grow weekly. Check the soil with the touch of your fingertip each day. If its dry to the touch, gently water the soil to keep moist. Soil should be on the damp side, but not soggy. One of the biggest mistakes made by indoor seed growers is to not harden off plants before planting outside. Plants need to get used to the fluctuation of outdoor temperatures. After all, they have been in the comfy confines of the home their whole life up to this point. 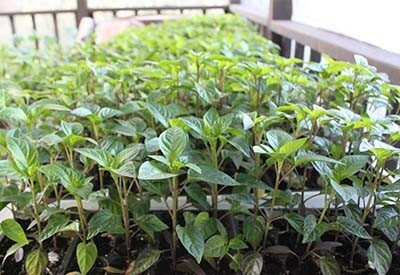 A few weeks before planting day, start setting seedlings out on warmer days. Continue to give them more and more outside exposure unless the temperatures are supposed to drop to near or below freezing. Hopefully, a week or so before planting, they can be outside around the clock. Start getting ready now to grow your own seeds late this winter. Not only will you be rewarded with incredibly tasty vegetables – you can save big money!